In February we announced our partnership with Hodl Hodl, a non-custodial peer-to-peer bitcoin exchange. By leveraging the power of multisig wallet functionality, the platform allows for OTC deals to be conducted directly between buyers and sellers, with Hodl Hodl being an arbitrator in case of dispute. While we recommend Hodl Hodl as an independent arbitrator in such deals, some clients already trust L2B Global enough to delegate arbitration responsibilities directly to us and, as a matter of fact, request it. As a result, we are happy to announce our new multisig escrow service! Our clients will need to have both in order to take advantage of the escrow service. 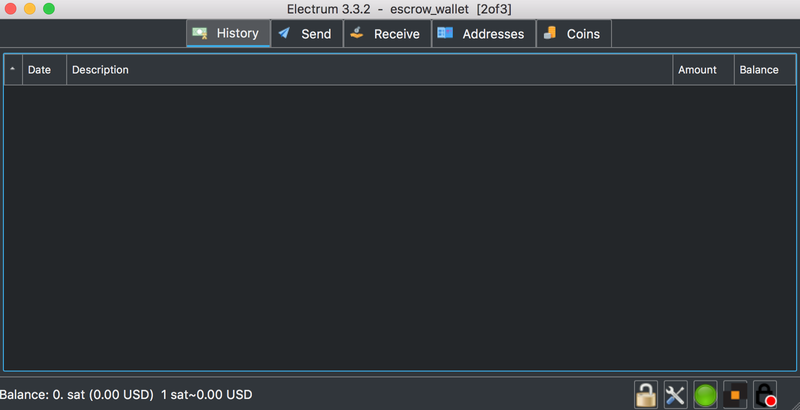 As mentioned in Bitcoin Custody: What You Need To Know, Electrum is one of the most trusted and reliable desktop wallets on the market. In our setup it serves as the graphical user interface through which clients can see balances and initiate transactions. 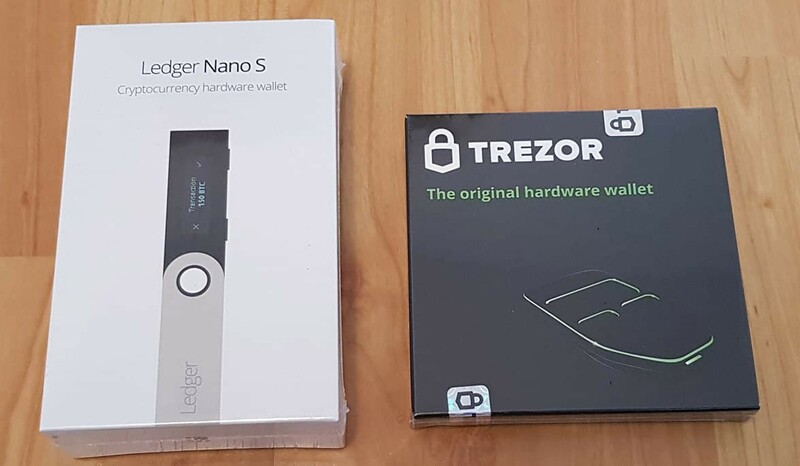 The two hardware wallets used widely are Ledger and Trezor. Either wallet will work in our setup and will serve as a signing key for multisig transactions. Upon wallet creation, SELLER funds the wallet with the amount of bitcoins for sale. At this point the bitcoins are locked and cannot be spent without two signatures. BUYER sends fiat to SELLER. When fiat arrives, BUYER and SELLER create an outgoing transaction to BUYER’s bitcoin wallet address. Either party may initiate the transaction, but it will be processed only when both have signed it. Arbitration: a dispute arises, in which L2B Global will assess evidence from both parties and sign the transaction in the winner’s favour. Emergency: one of the parties becomes unavailable or unresponsive due to unforeseen circumstances. L2B Global will sign a refund or a settlement transaction. We believe that escrowing bitcoins is lot more important than fiat. In certain situations, it is possible to reverse a bank transfer or track down a seller who refuses to send bitcoins. However, it is unlikely that bitcoins sent upfront to a malicious buyer can be recovered successfully due to finality and irreversibility of bitcoin transactions as well as plausible deniability. A multisig contract solves this problem by allowing both the buyer and the seller to take advantage of arbitration services provided by the escrow agent. Moreover, while it seems somewhat complicated at first glance, it is a lot easier, faster and cheaper than dealing with traditional fiat escrow providers. Setting up a multisig wallet only takes 10 minutes; going through a fiat escrow—up to a week! Our clients need not worry about the technical details, because with our step-by-step guide we will be there to assist during each stage of the process. This is our job! 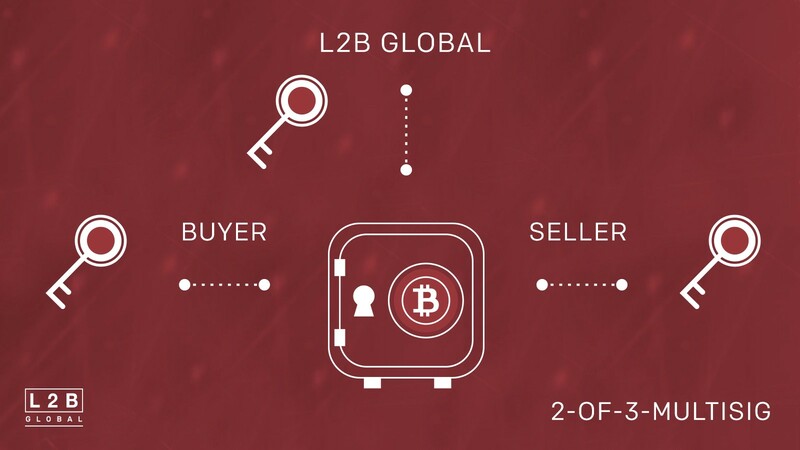 Our goal at L2B Global is to facilitate the deals, not to make them more complicated. Our current solution, while fully functional, is but the first step in creating the product that will revolutionize bitcoin brokerage. We are dedicated to improving every aspect of the deal flow. This is only the beginning, and the sky is not the limit—we are going to the moon!